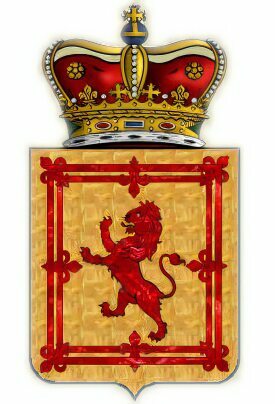 At the dawn of the Middle Ages the House of Dunkeld, in the person of Duncan I (1001-1040) replaced the line of Gaelic kings known as the MacAplin dynasty which had ruled Scotland since the ninth century. Succession to the throne of Scotland gradually changed towards the system of primogeniture (descent of the eldest son) which replaced the Irish-Celtic tradition of tanistry. The family produced such varying characters as the warlike Malcolm III 'Canmore' (1057-1093), the devout David I (1124-1153) and Alexander I (1107-1024), known as 'the Fierce'. The Dunkeld family could also boast a real saint in its midst in the person of Margaret, wife of Malcolm III 'Canmore' and a descendant of the Saxon House of Wessex. The House of Dunkeld became extinct in 1286, when Alexander III (1249-1286) died as a result of an accident, leaving only a young granddaughter, Margaret of Norway, to succeed him. Margaret, known as the 'Maid of Norway', died on the journey to Scotland to take up the throne, leaving a number of claimants to dispute their right to Scotland's crown.